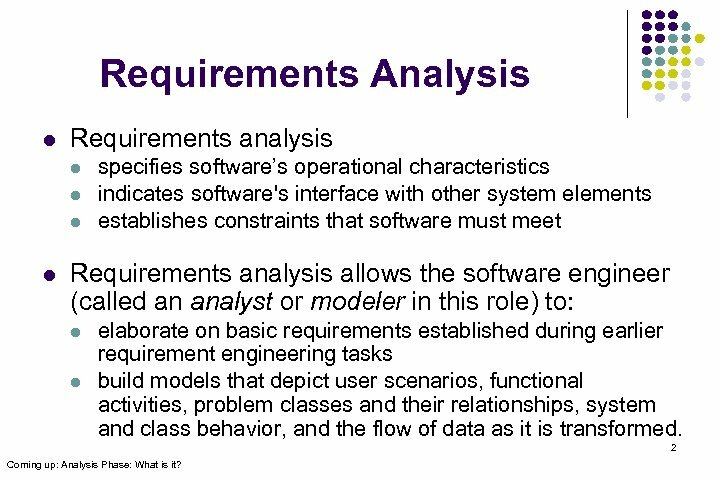 Requirements Analysis l Requirements analysis l l specifies software’s operational characteristics indicates software's interface with other system elements establishes constraints that software must meet Requirements analysis allows the software engineer (called an analyst or modeler in this role) to: l l elaborate on basic requirements established during earlier requirement engineering tasks build models that depict user scenarios, functional activities, problem classes and their relationships, system and class behavior, and the flow of data as it is transformed. 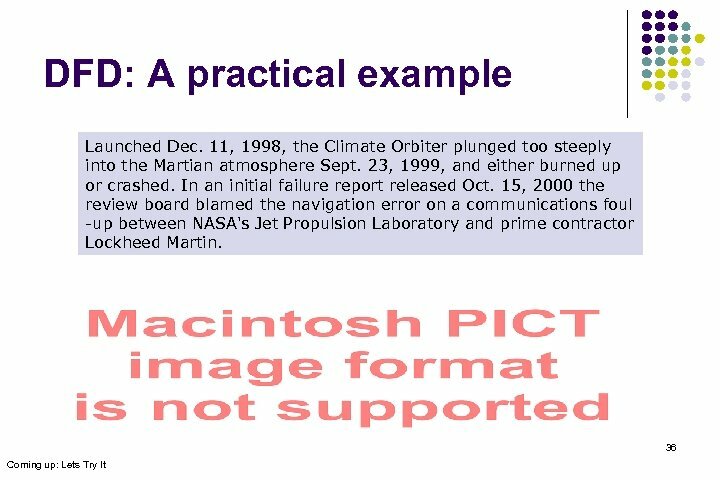 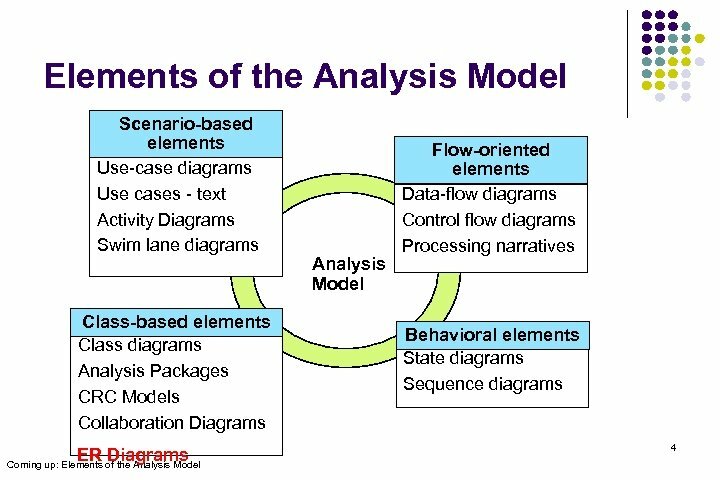 2 Coming up: Analysis Phase: What is it? 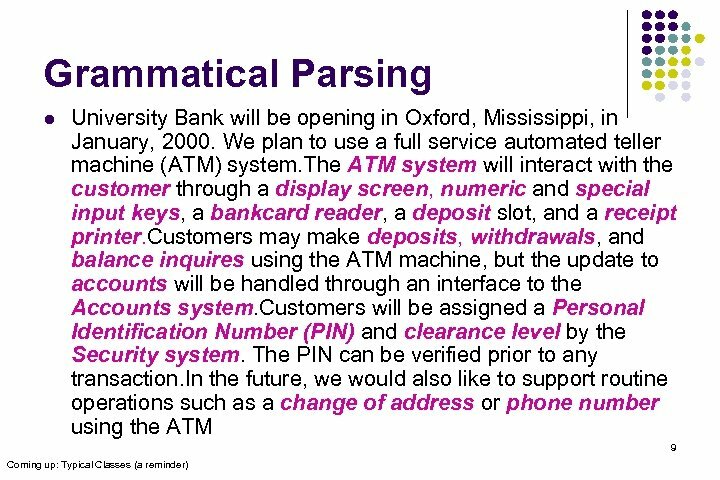 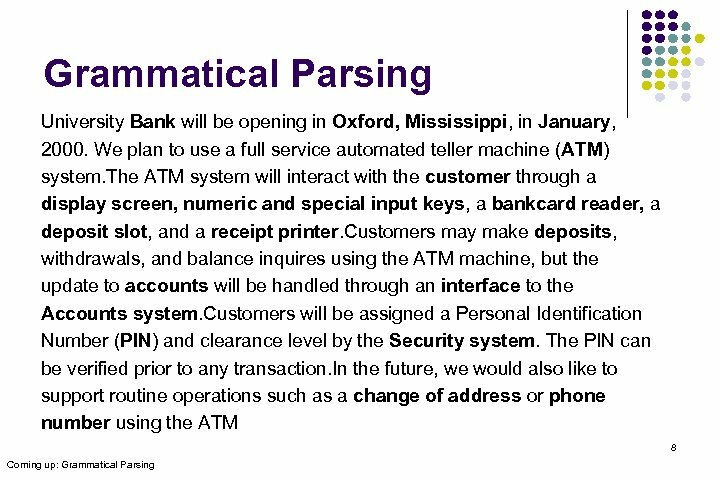 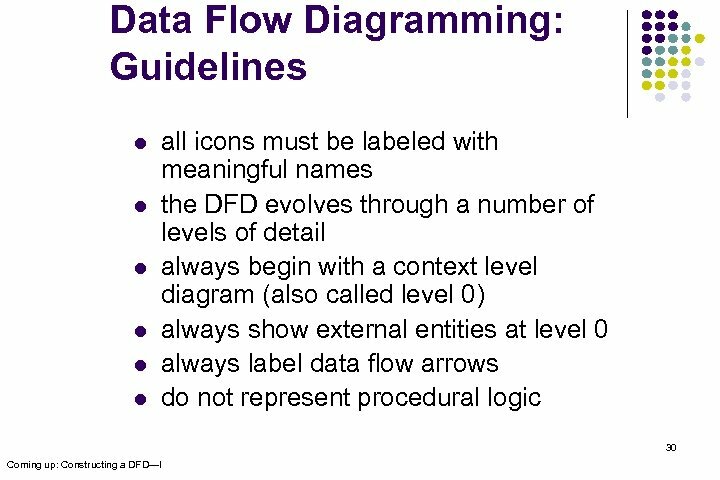 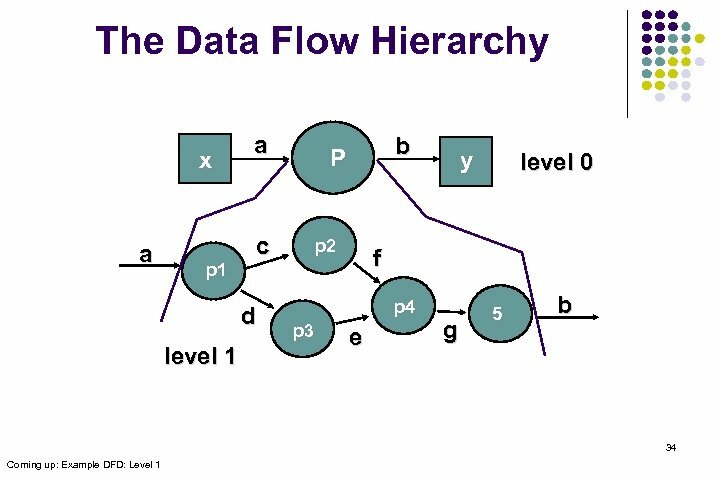 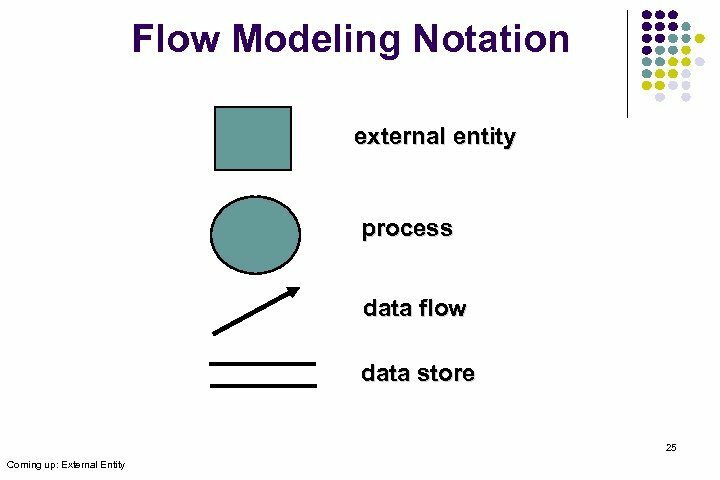 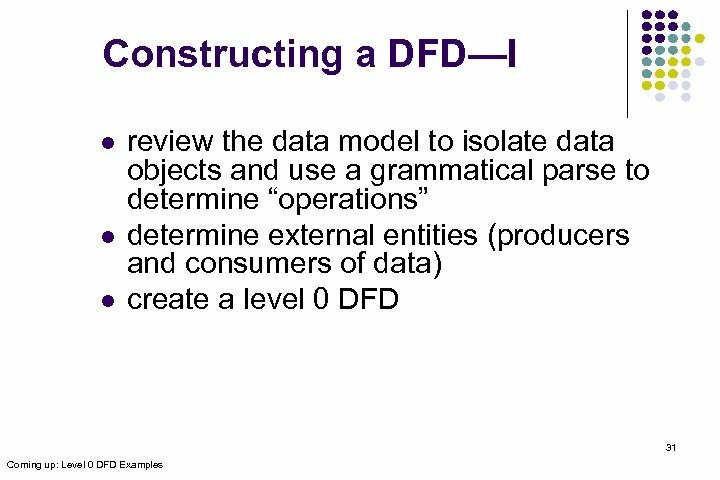 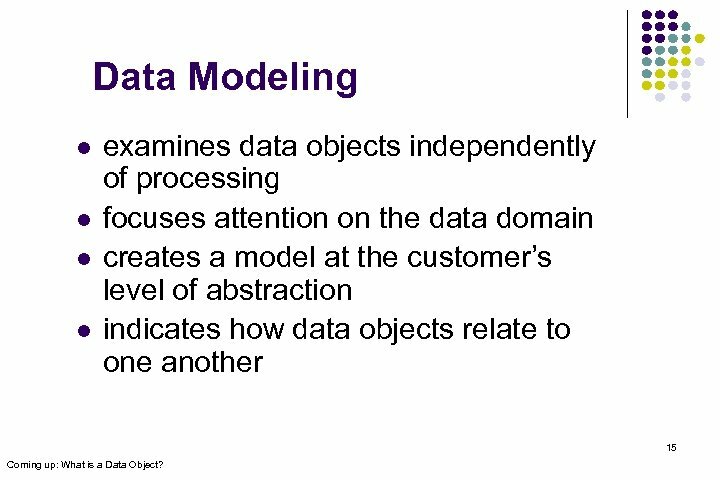 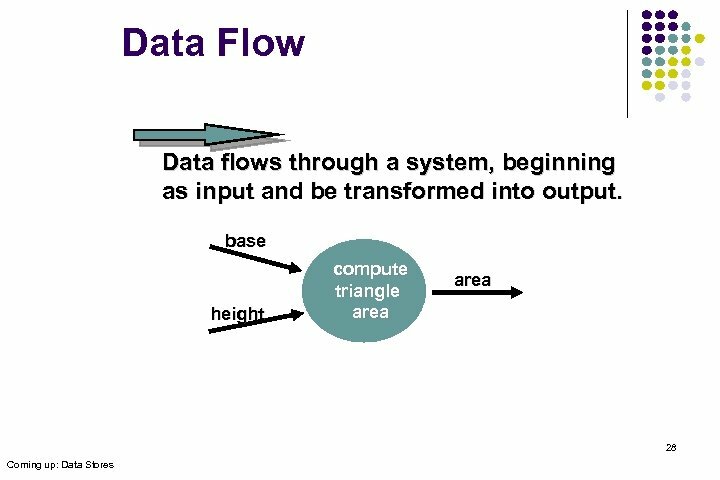 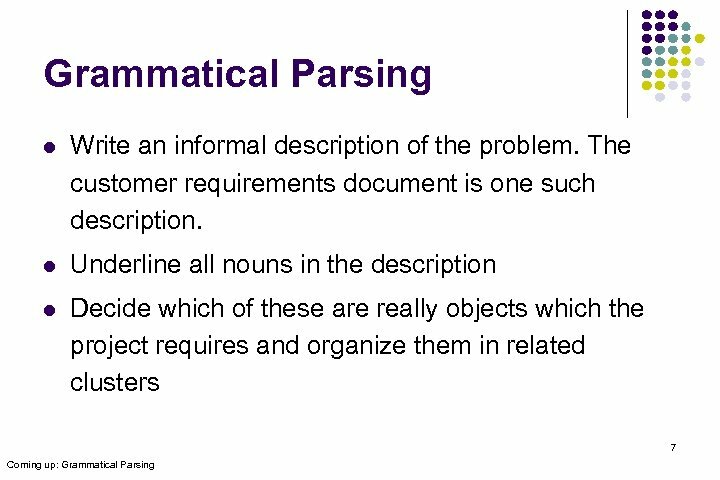 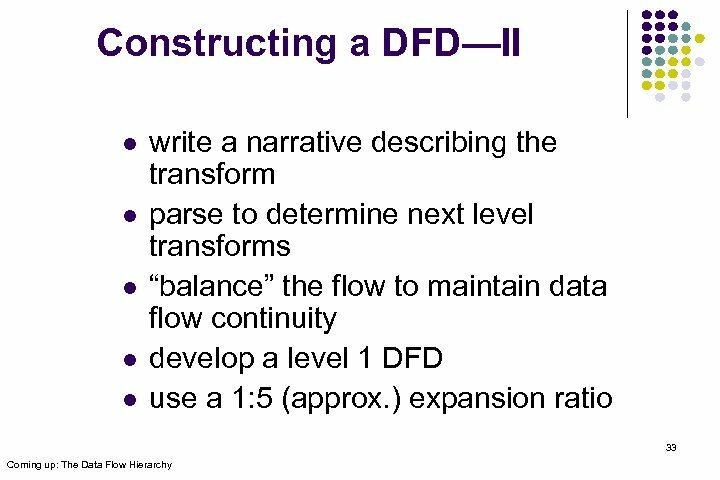 Data Modeling l l examines data objects independently of processing focuses attention on the data domain creates a model at the customer’s level of abstraction indicates how data objects relate to one another 15 Coming up: What is a Data Object? 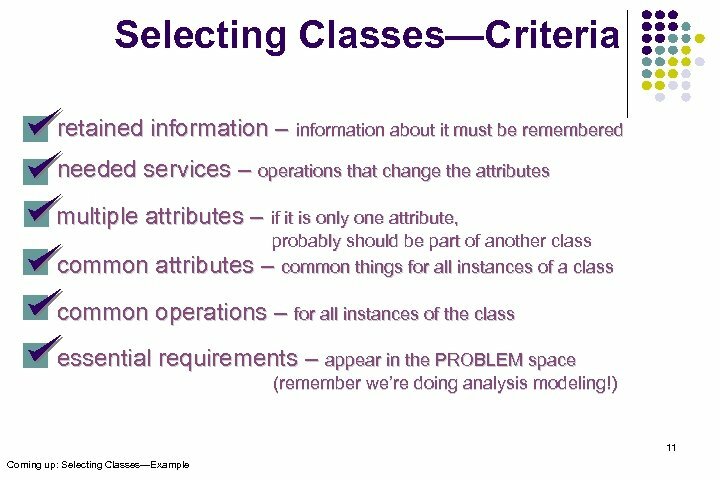 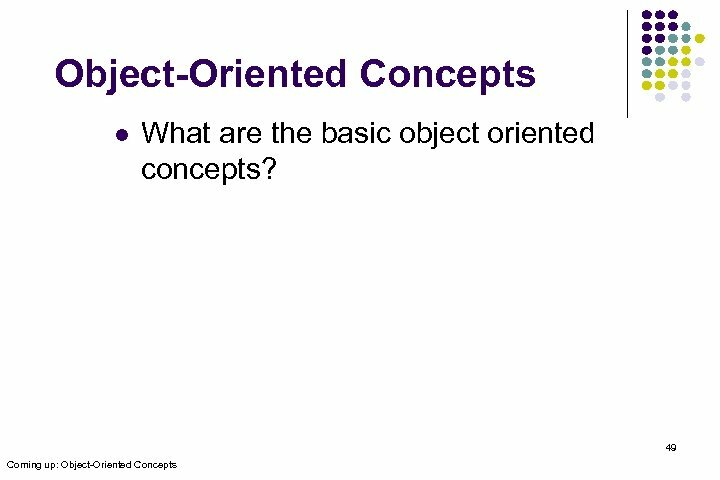 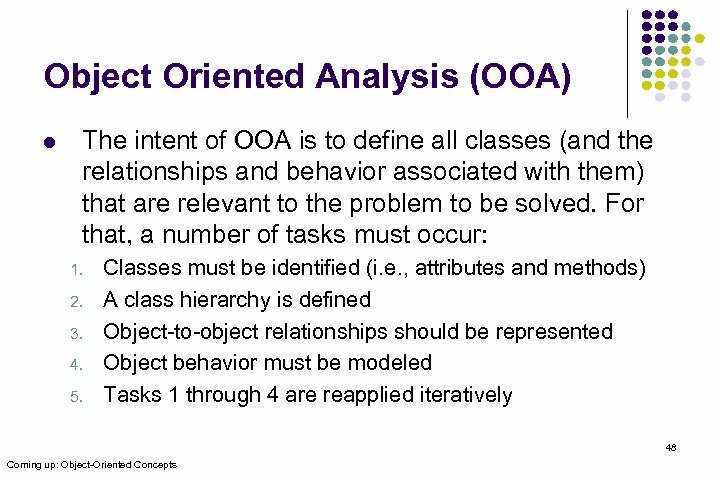 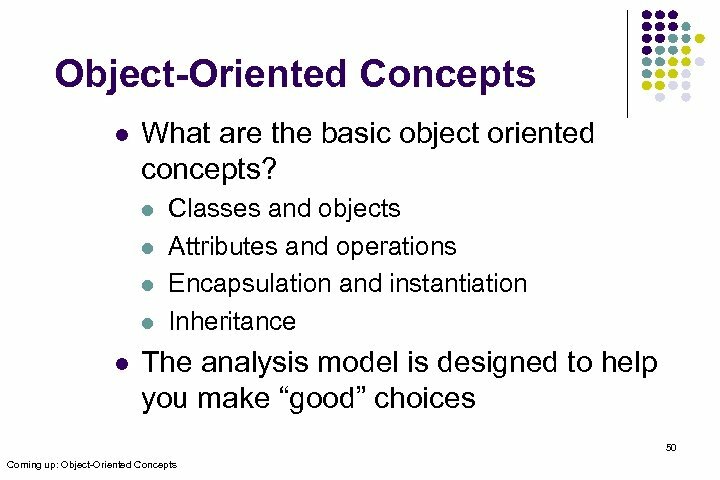 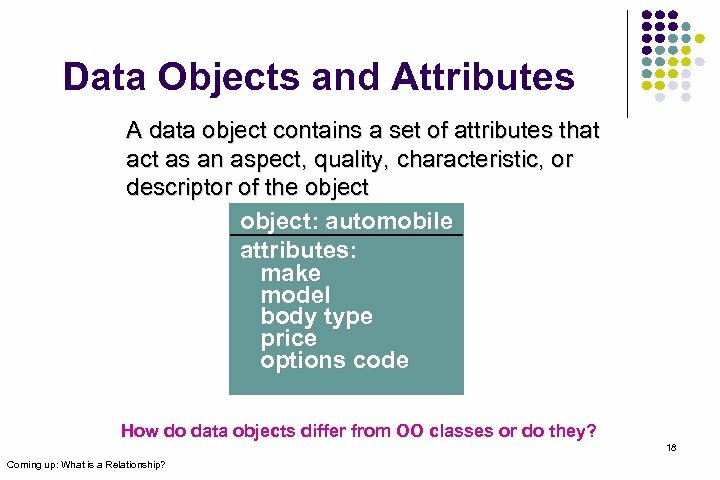 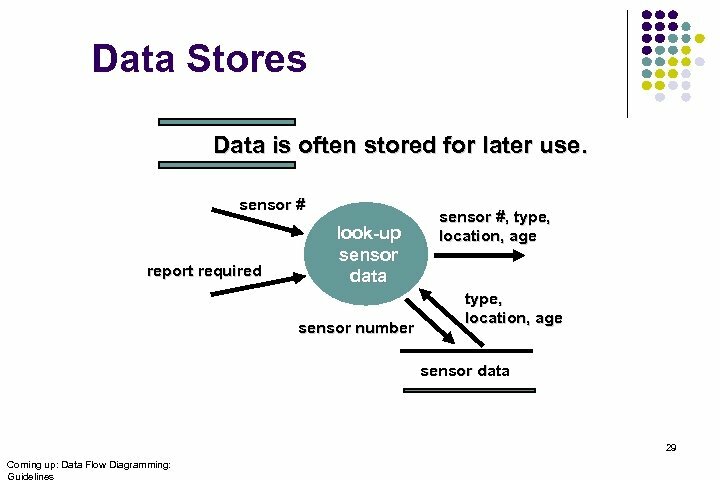 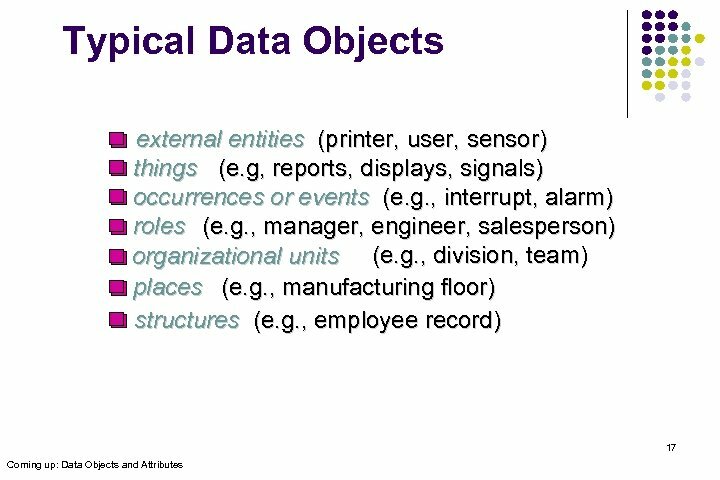 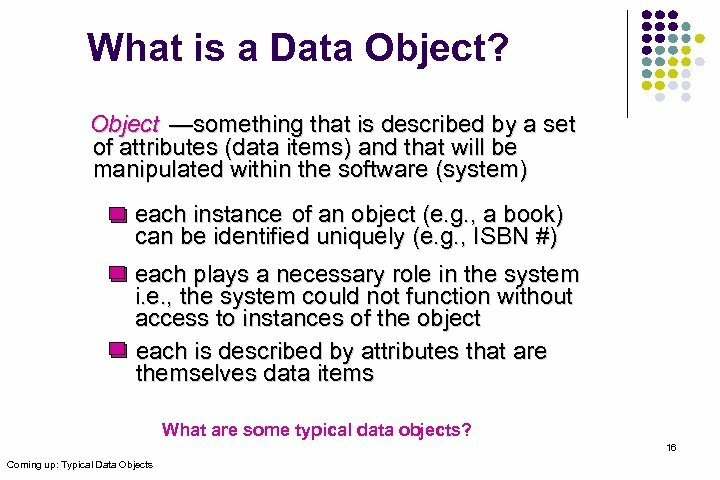 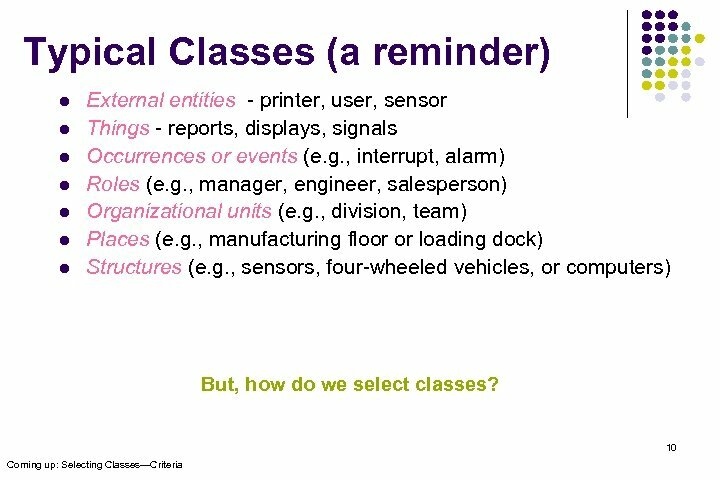 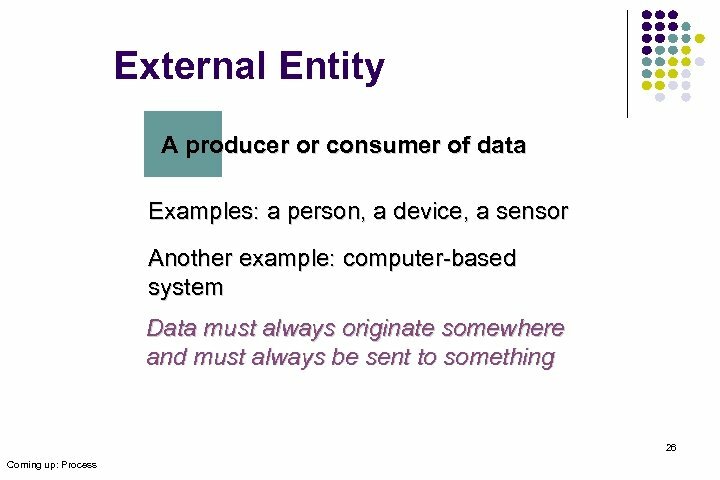 Data Objects and Attributes A data object contains a set of attributes that act as an aspect, quality, characteristic, or descriptor of the object: automobile attributes: make model body type price options code How do data objects differ from OO classes or do they? 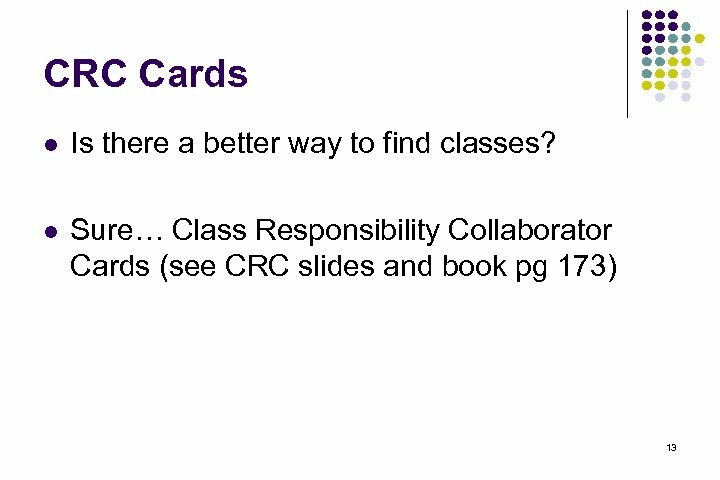 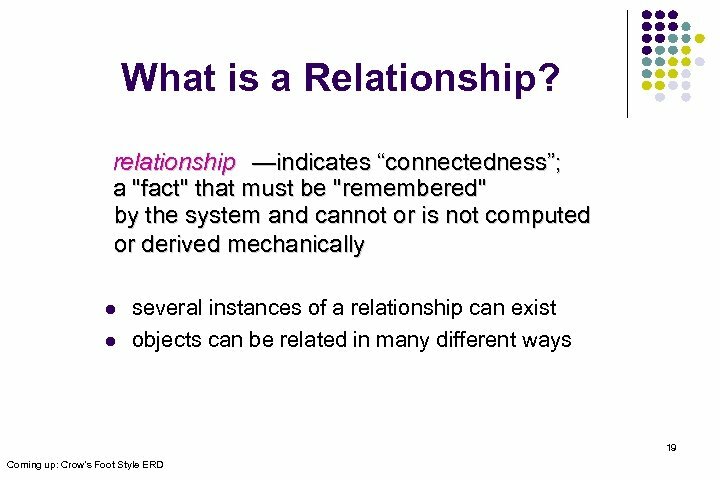 18 Coming up: What is a Relationship? 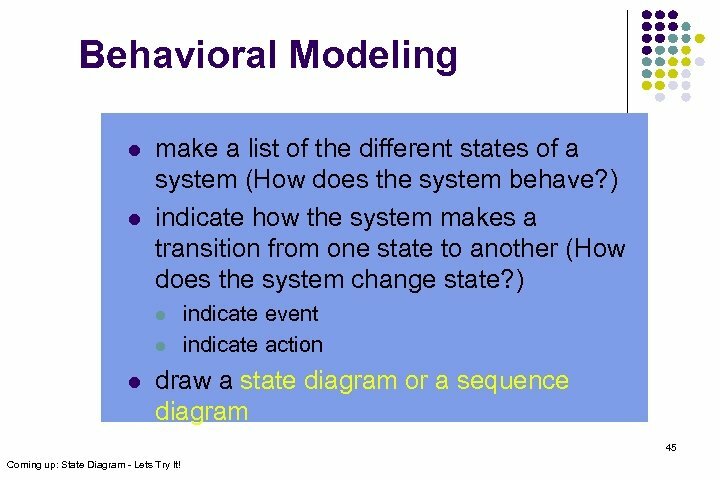 Behavioral Modeling l l make a list of the different states of a system (How does the system behave? ) 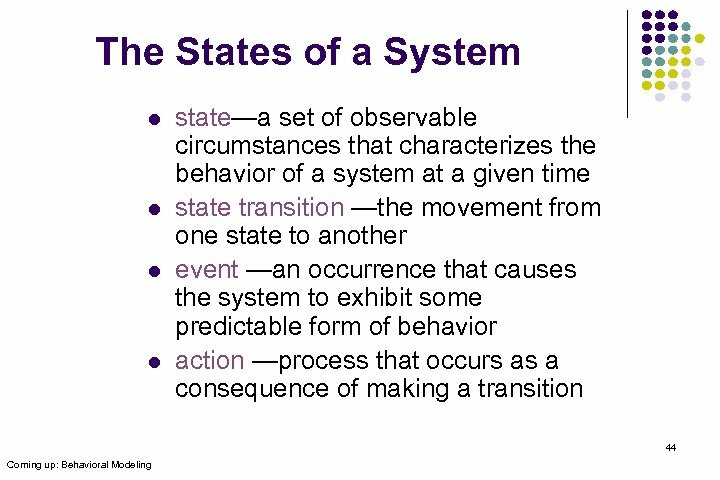 indicate how the system makes a transition from one state to another (How does the system change state? ) 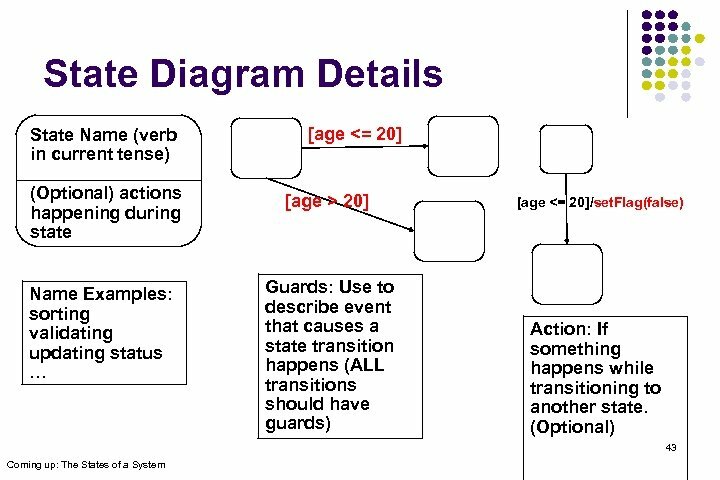 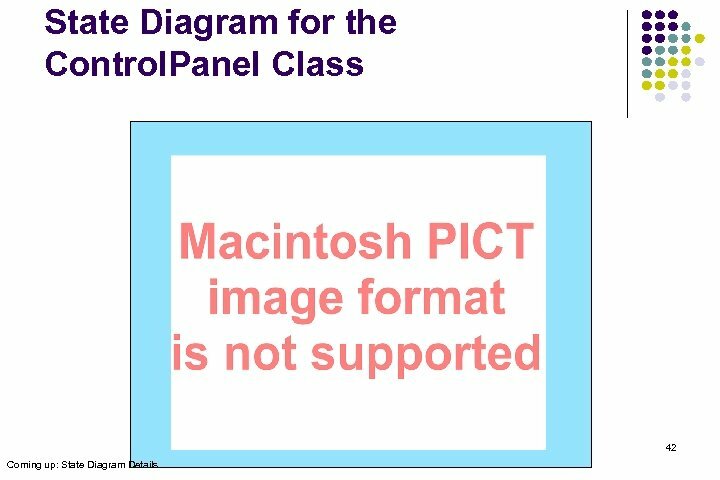 l l l indicate event indicate action draw a state diagram or a sequence diagram 45 Coming up: State Diagram - Lets Try It! 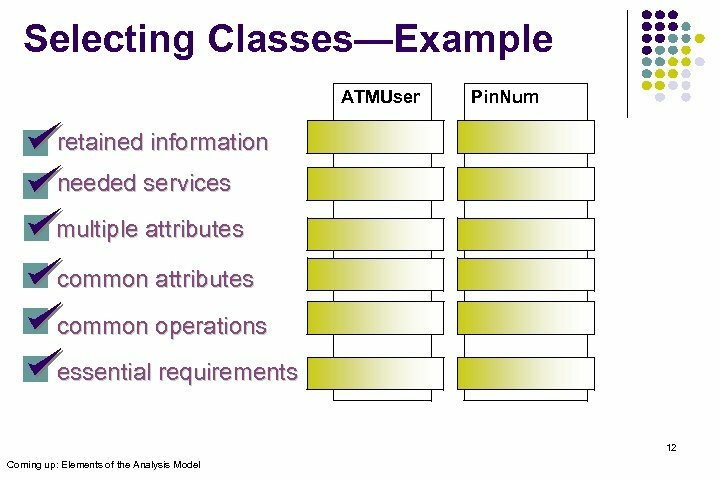 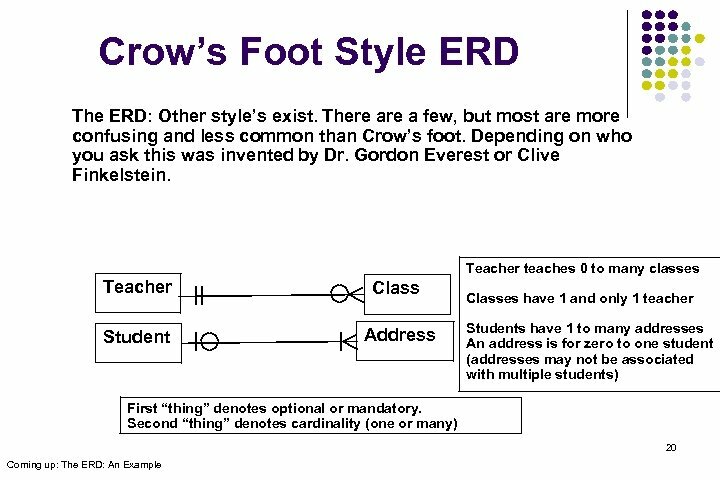 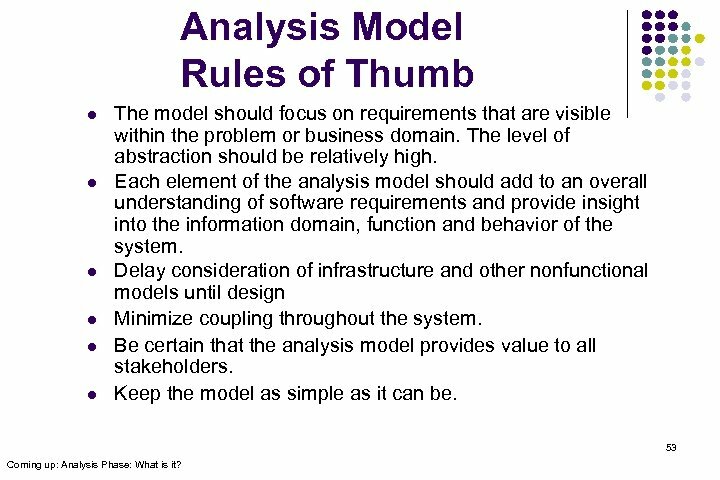 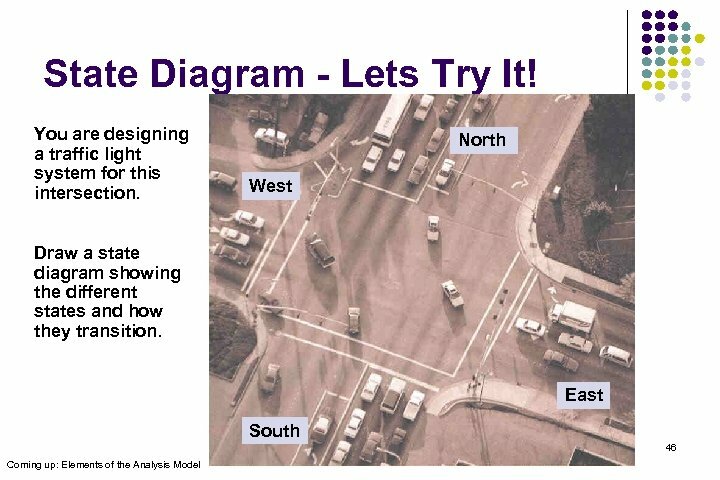 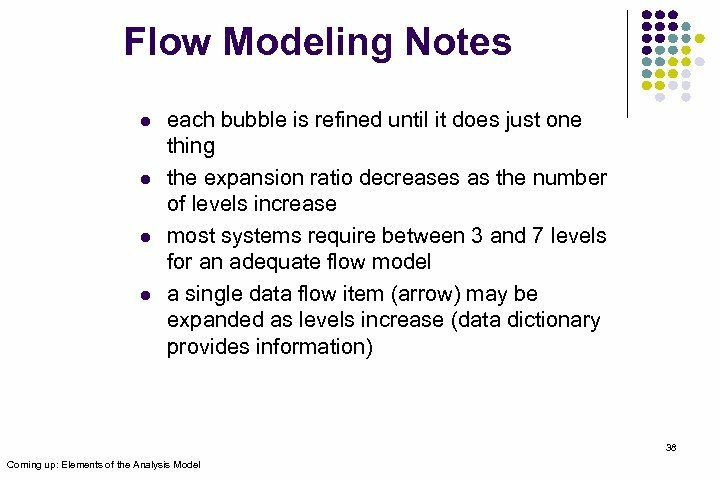 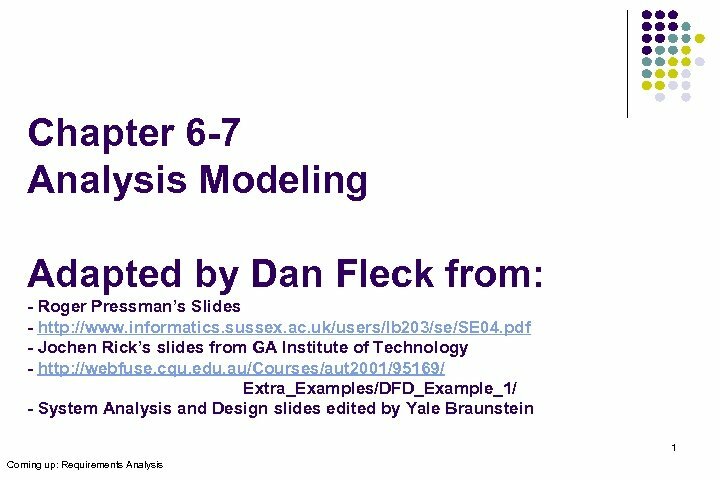 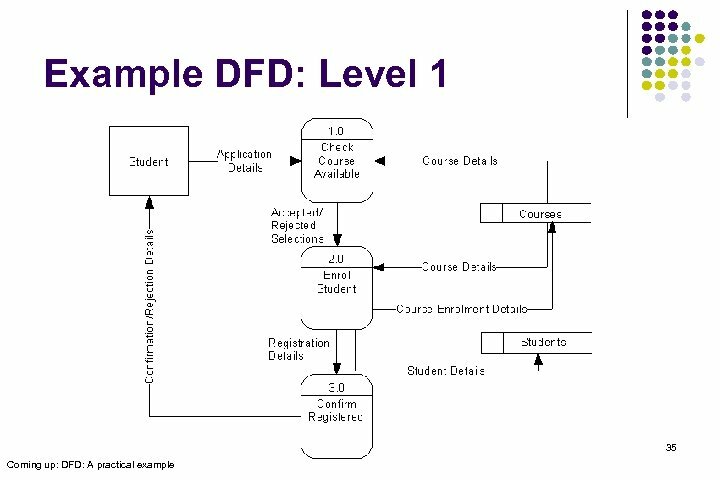 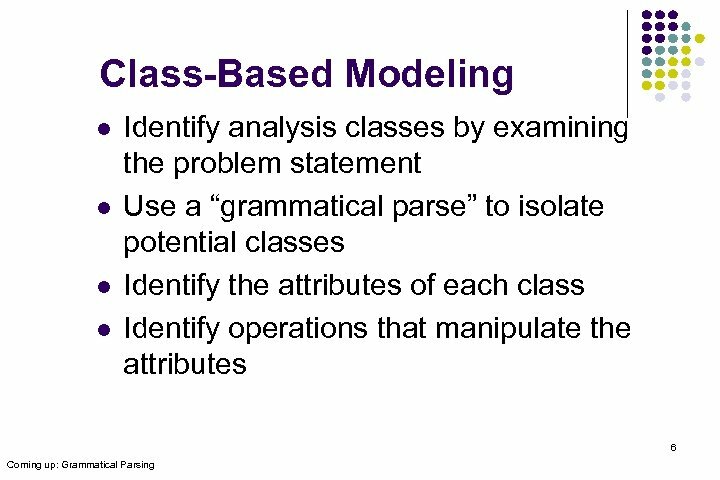 Analysis Model Rules of Thumb l l l The model should focus on requirements that are visible within the problem or business domain. 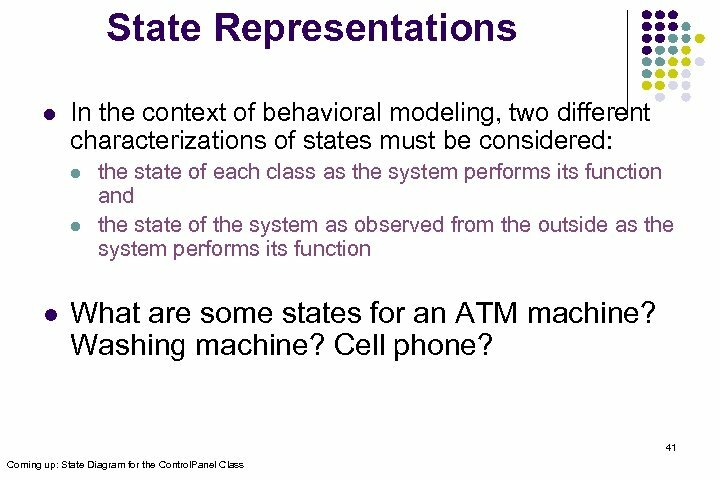 The level of abstraction should be relatively high. 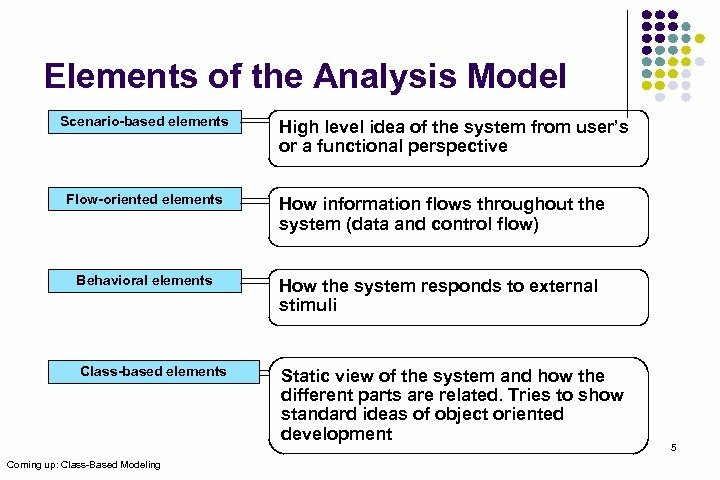 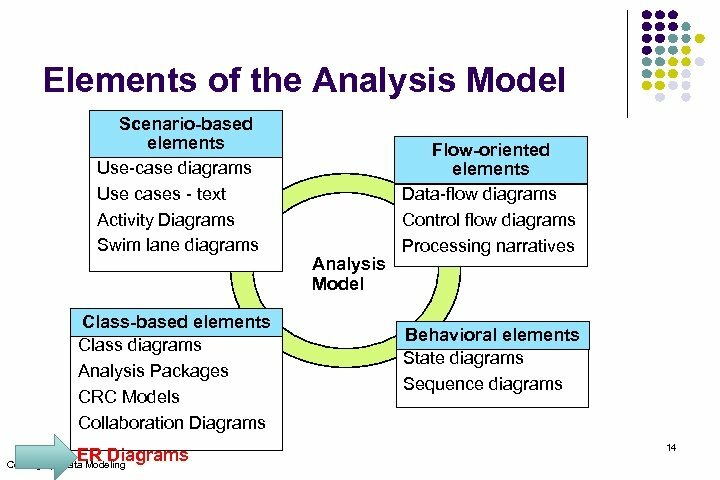 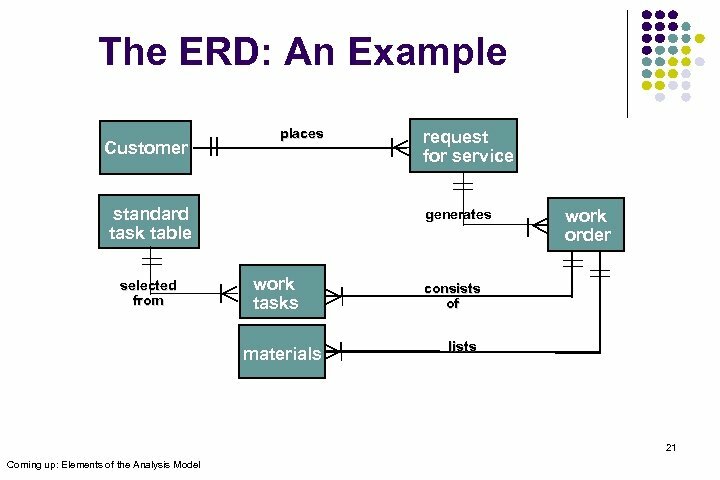 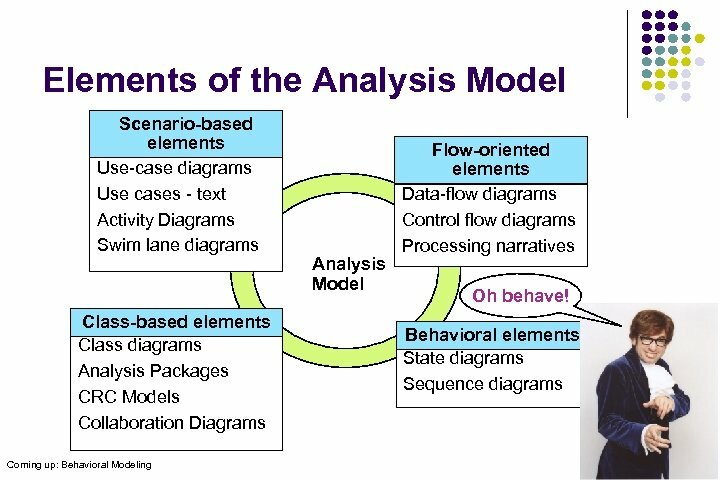 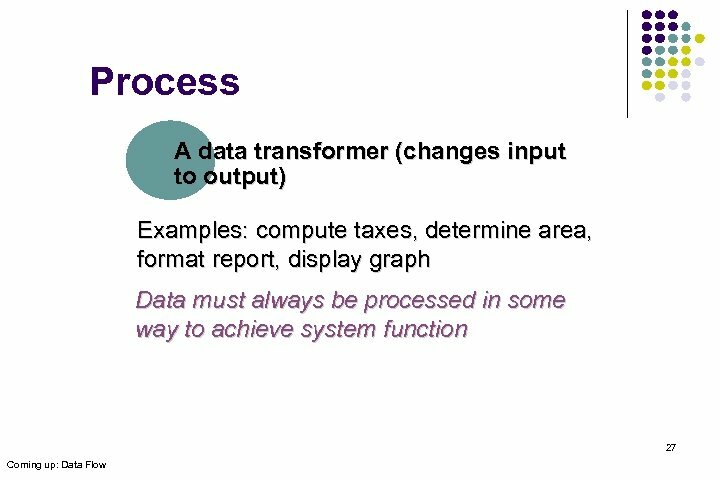 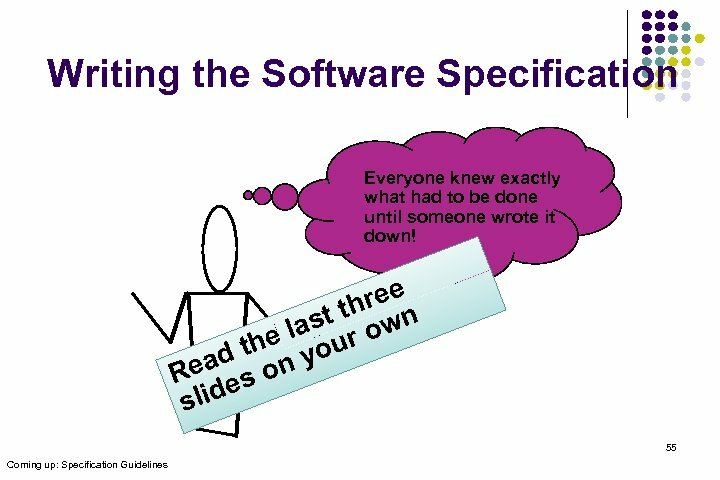 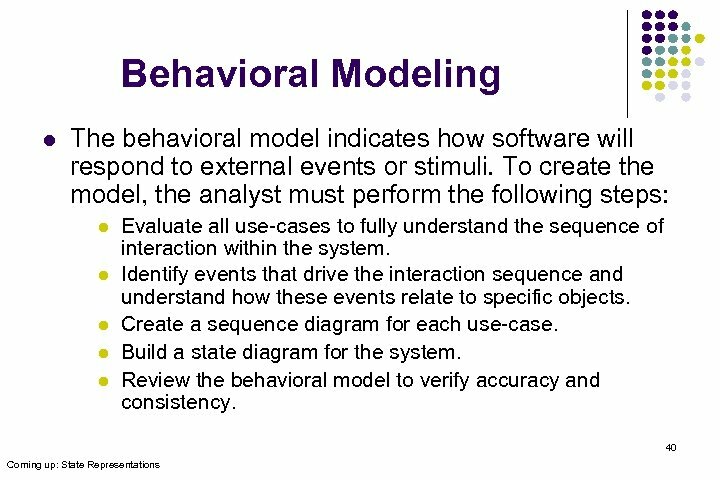 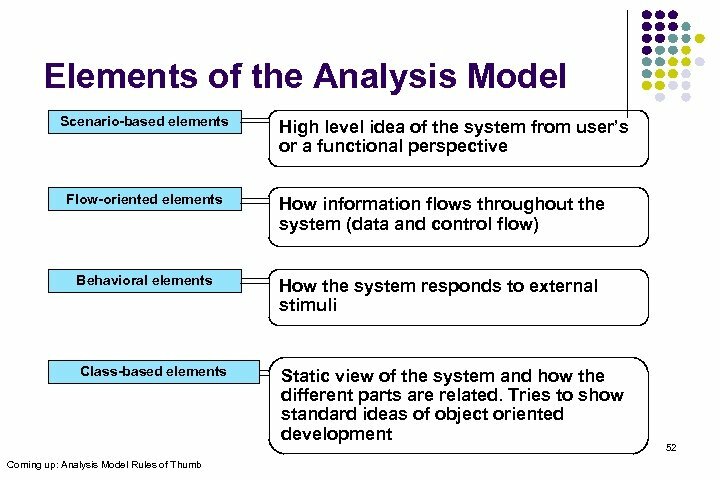 Each element of the analysis model should add to an overall understanding of software requirements and provide insight into the information domain, function and behavior of the system. 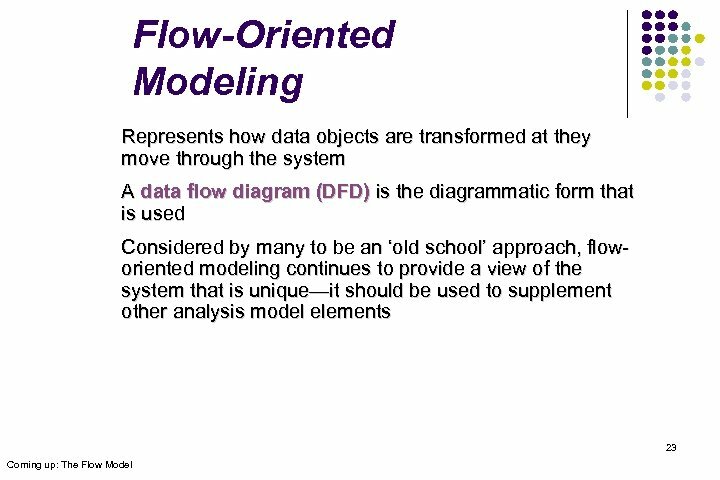 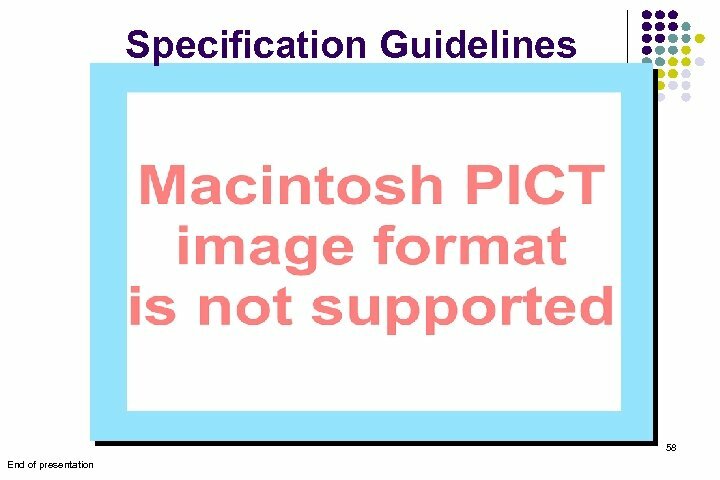 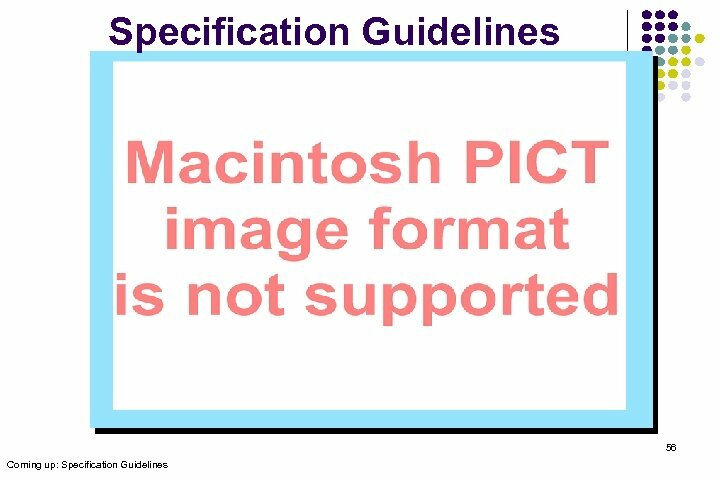 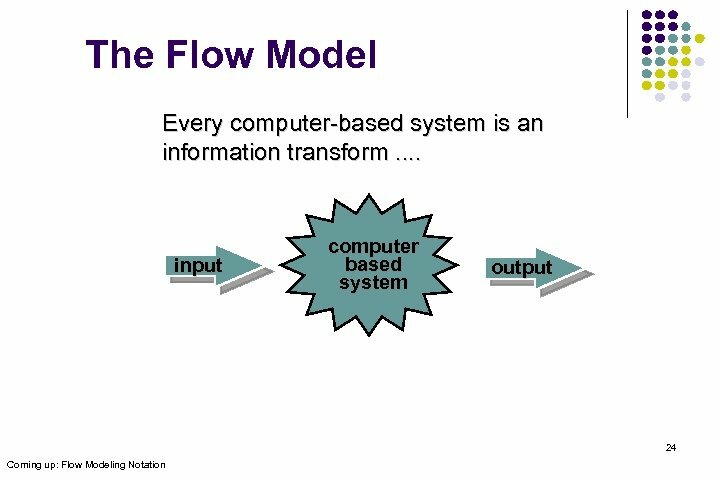 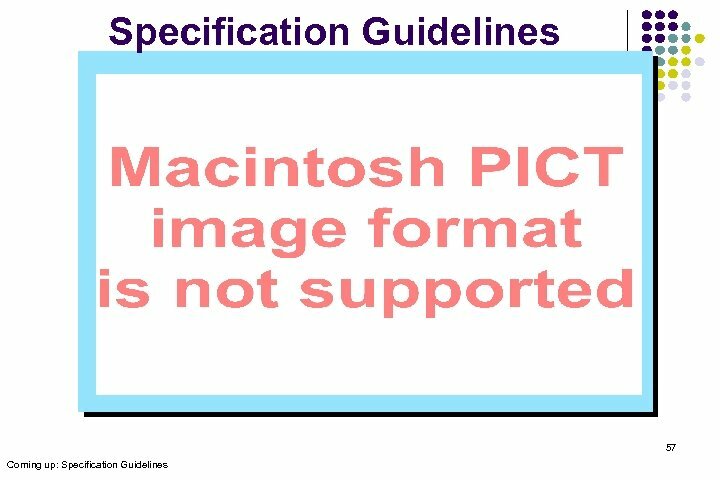 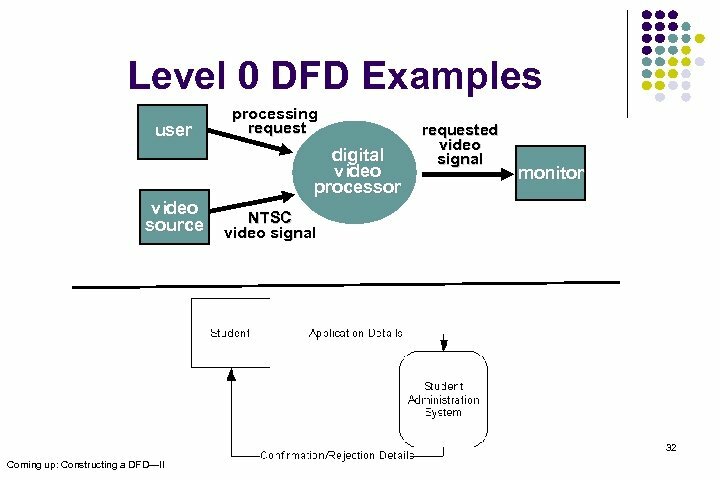 Delay consideration of infrastructure and other nonfunctional models until design Minimize coupling throughout the system. 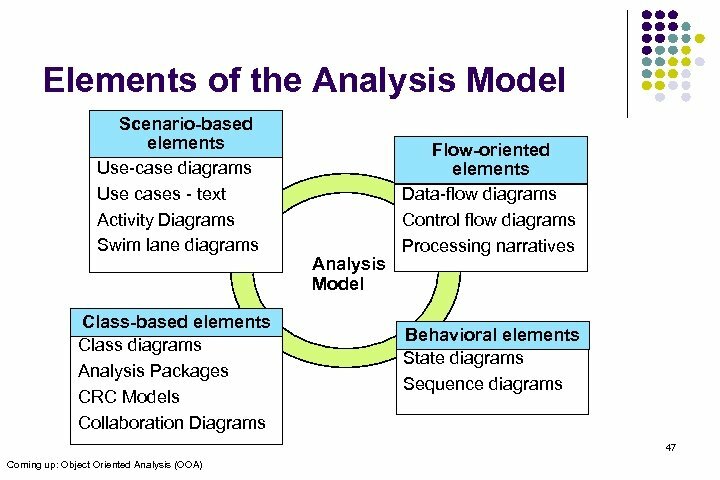 Be certain that the analysis model provides value to all stakeholders. 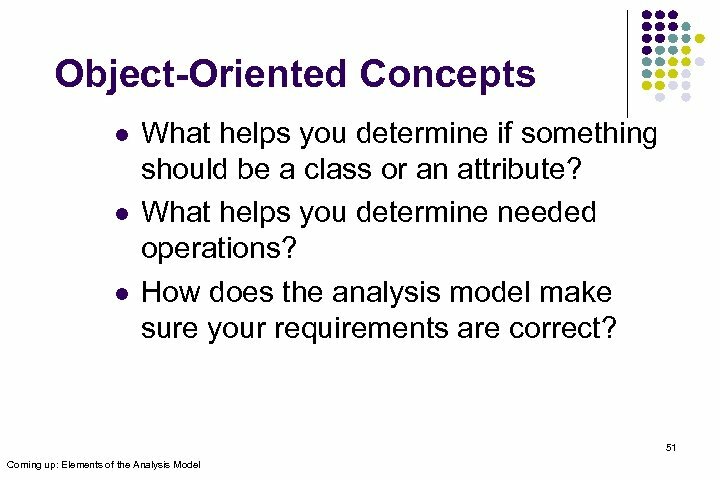 Keep the model as simple as it can be. 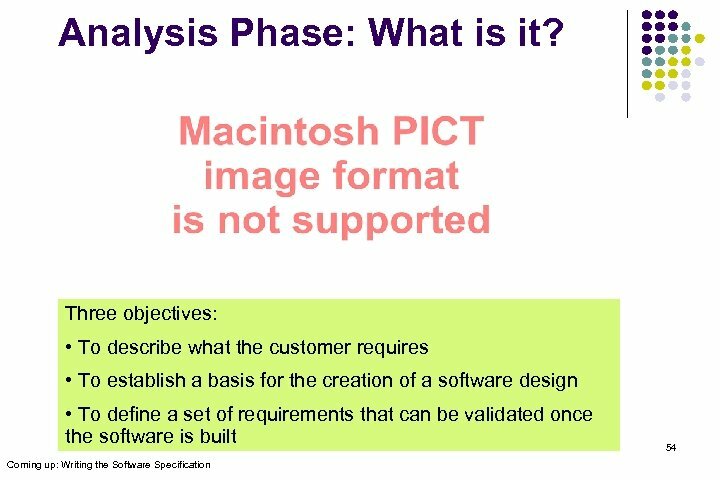 53 Coming up: Analysis Phase: What is it?